An African Bank Made For Africans. 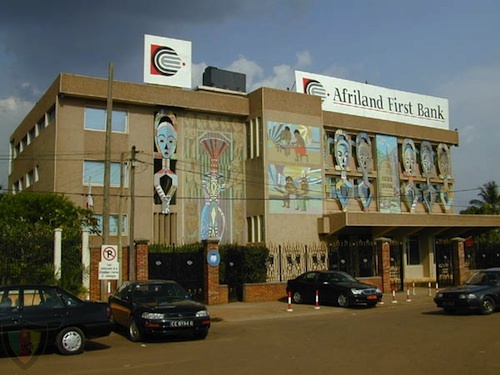 AfriLand First Bank is headquartered in Yaounde, Cameroon. Founded in 1987 (then known as Caisse Commune D'Epargne et D'Investissement, i.e Loans and Savings Bank) the bank has grown into a true success story for Cameroon banking systems. Cameroon Banks: AfriLand Bank. A contemporary African design. AfriLand Bank of Cameroon was created to function as the rural community bank based on the observation that over 60% of Cameroon business activity was generated by the Cameroonian rural community yet none of it made it into Cameroon's GDP. Thus AfriLand First sort to provide strength and a formal framework to the traditional rural banking system in rural Cameroon, the Njanggui, also known as tontines. support and actively promote the development of existing local companies in Cameroon and Africa. Today AfriLand banks holds over seventeen (17) branches covering eight(8) of Cameroon's ten(10) provinces with several subsidiary branch offices in Africa and abroad, namely: the democratic Republic of Congo, the popular Republic of Congo, Sao Tome and Principe, Equatorial Guinea, Angola, France and China. See the table below for a complete list of AfriLand Bank branches and Networks. Now its your time to speak up. 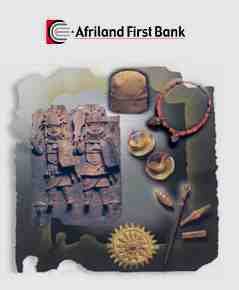 Do you bank at AfriLand Bank? What has been you banking experience here? Can you do online banking, do they charge you excessive banking fees? Would you recommend this Cameroon bank to your friends? What makes you like or dislike AfriLand First Bank of Cameroon? Have you noticed an First Bank near you? How professional looking is it? Why haven't you bank there yet? The world is eager to hear your experience, share it here! Afriland has few branches in Cameroon. They should create more branches in the anglophone regions and inform their customers through text messages.